COME one, COME all! & if you have seeds to share, bring those along too. 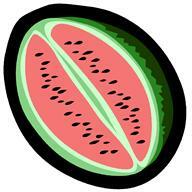 WE have many SUPER-DUPER HEIRLOOM seeds from BAKER CREEK to share with you either way! & along with planting tips and how to's if you need them, you'll be set to take them home! When: Saturday, March 31, 2012 from 1:30 p.m.—3:00 p.m. Learn about gardening for the common good. Tour the Green Community Garden of Hope. Sign up to be a Community Gardener – all ages are welcome. The Dominican Sisters of Hope Justice Committee • Mariandale Retreat & Conference Center • Transition Ossining & YOU! ceremony with song & prayers of gratitude @ NOON at which point refreshments will be served. 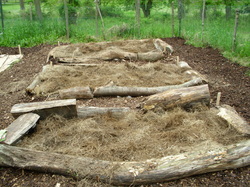 The prep for next year's beds will begin with both LASAGNA GARDENING & HUGELKULTUR techniques & later you CAN try this out at home. T HESE ARE ALL FREE EVENTS!!!! Please come by! Go to our "contact us" tab & let us know of your interests. Thanks. Sat. Sept.24th 10 - 4, where the GCGH will have a table. again using no $$ & very little labor!